The Magnum 10XTS Router Terminal Server offers T1/E1 routing as well as advanced serial and Ethernet port configurability for heavy duty industrial applications where maximum port count and diversity are required. The Magnum 10XTS is ideal for large substation installations with large numbers of serial and Ethernet instruments and the need for high-speed WAN access. The Magnum 10XTS offers two WAN ports via a T1/E1 card, up to eight Ethernet ports or twenty-eight serial ports and IRIG-B time coding. The 10XTS provides configurability, reliability, and functionality in a 1U hardened rackmount package. The 10XTS also offers the flexibility of switching or routing on all of the Ethernet ports. 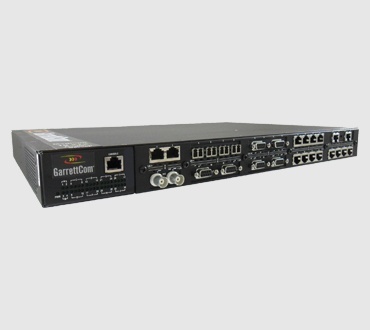 Each 10XTS Router Terminal Server includes advanced thermal design techniques that result in cooler operation of internal electronic components, leading to longer life-time and increased reliability. 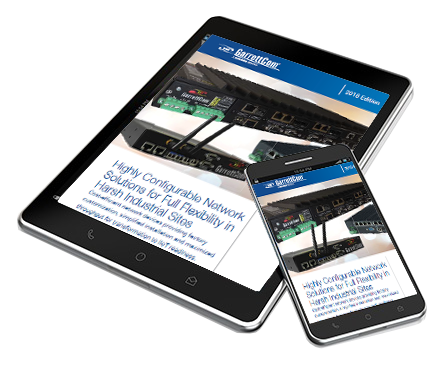 Flexibility - Offers 2 WAN ports via a T1/E1 card.The 10 configuration slots in the Magnum 10XTS provide the flexibility for network designers to configure up to eight 100 Mb Ethernet ports in different fiber and copper combinations and up to 28 serial ports. Both DB-9 and RJ45 serial connector types are available. Modules may be configured for regular port types, IRIG-B timing, or combinations. Reliability - The Magnum 10XTS offers next generation reliability and configurable redundancy, with high voltage AC/DC and low voltage DC hot-swappable power supplies. Software monitors each power supply, and detects power supply faults and signal when a power supply module swap is needed. The swap-out can readily be done while the 10XTS continues in operation. Time Synchronization - Each Magnum 10XTS may be configured with an IRIG-B Timing Card and a selection of IRIG-B port modules to provide time synchronization for Protection, SCADA and other devices. Hardened - The 10XTS operates at -40° to +85°C without open vent holes or fans. Hard metal packaging is standard and conformal coating for protection against moisture and corrosion is also available. Download this white paper and you'll be on your way to improving your knowledge of IEC 61850 substation communications design! Hardened - The 10XTS operates at -40â‚, to +85â‚, without open vent holes or fans. Hard metal packaging is standard and conformal coating for protection against moisture and corrosion is also available.